Directed by Robert Zemeckis. With Michael J. Fox, Christopher Lloyd, Lea Thompson, Crispin Glover. 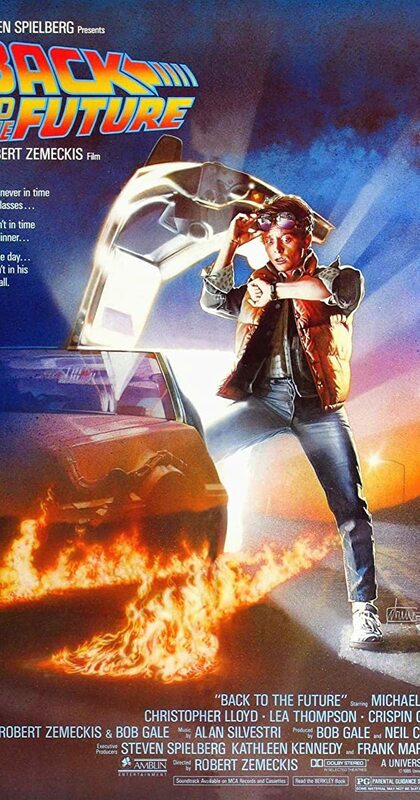 Marty McFly, a 17-year-old high school student, is accidentally sent thirty years into the past in a time-traveling DeLorean invented by his close friend, the maverick scientist Doc Brown. Michael J. Fox Christopher Lloyd Lea Thompson Crispin Glover Thomas F. Wilson Claudia Wells Marc McClure Wendie Jo Sperber George DiCenzo Frances Lee McCain James Tolkan J.J. Cohen Casey Siemaszko Billy Zane Harry Waters Jr.